Itzik Ben-Gan is a Mentor and Co-Founder of SolidQ. 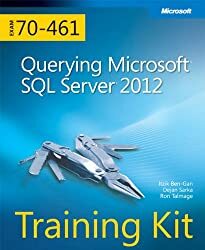 A SQL Server Microsoft MVP (Most Valuable Professional) since 1999, Itzik has delivered numerous training events around the world focused on T-SQL Querying, Query Tuning and Programming. 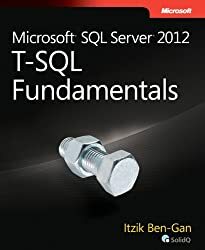 Itzik is the author of several books including Microsoft SQL Server 2012 T-SQL Fundamentals and Microsoft SQL Server 2012 High-Performance T-SQL Using Window Functions. He has written many articles for SQL Server Pro as well as articles and whitepapers for MSDN. Itzik's speaking activities include TechEd, DevWeek, SQLPASS, SQL Server Magazine Connections, various user groups around the world, and SolidQ's events to name a few. 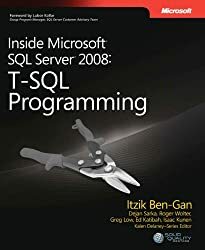 Itzik is the author of SolidQ's Advanced T-SQL Querying, Programming and Tuning and T-SQL Fundamentals courses along with being a primary resource within the company for their T-SQL related activities. For more details please visit http://tsql.solidq.com.